As an excellent Slip and Fall Attorney in Lighthouse Point, Robert E. Gluck has the experience and credentials necessary to represent clients injured in a slip and fall accident or incident. Your slip and fall accident or incident could happen anywhere like a bank, grocery store, mall, restaurant, or any other location. It could be a result of using a damaged product, a wet or uneven surface, or any other reason. It is important to contact a slip and fall attorney immediately following an accident if you want to have a good chance to win a settlement. Call Robert E. Gluck today to schedule a free consultation with him. 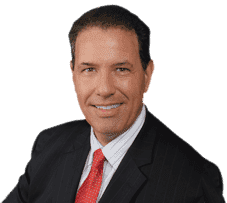 Your Slip and Fall injury attorney in Lighthouse Point, Robert E. Gluck, from The Law Offices of Robert E. Gluck is one of the top slip and fall attorneys in South Florida. When you meet with him at your consultation he will discuss the details of your accident or incident with you to determine if negligence was committed by the other party. In order to file a clip and fall claim there needs to be some degree of negligence. When a person fails to provide reasonable standard care and another individual gets hurt as a result, this is called negligence. If they are found guilty of negligence they will be held responsible for your medical bills. Hire a Slip and Fall Attorney in Lighthouse Point if you have suffered injuries due to an accident or incident. Research indicates that by hiring an attorney to represent you, your chances of receiving a settlement are significantly improved. Robert E. Gluck will be at your side until the end of the case, and he will protect your legal rights every step of the way. You will feel less stressed and more confident with Robert E. Gluck as your slip and fall attorney. It is very important to hire an attorney who has experience in slip and fall cases, rather than risking it with someone less qualified. With your Slip and Fall Attorney in Lighthouse Point, Robert E. Gluck, fighting on your behalf your chance of winning your case are greatly improved. He will find witnesses and obtain their witness statements. He will take pictures of the accident scene as well as secure any video footage he can find. In addition, Robert E. Gluck will also examine the entire accident scene for damages. Robert E. Gluck will gather all of the information he can find to use as evidence for your case. Count on Robert E. Gluck to do an excellent job as your slip and fall attorney, you are in the right hands!